The Ram Pub, April 1974. Salem Area Chamber of Commerce Collection, Willamette Heritage Center, 1998.013.0189. 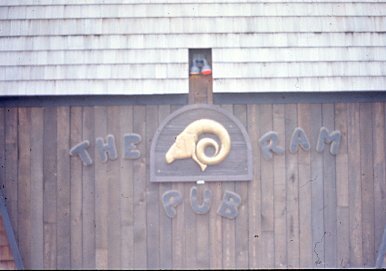 There are no listings in the Classifieds, white pages, nor in the reverse address directory (either the original 515 12th Street nor the alternative 1170 Bellevue St.) for any iteration of the Ram Restaurant/pub/tavern until 1979. However, a photo found in a collection given to the Willamette Heritage Center by the Chamber of Commerce and dated April 1974 (seen above), suggests that the city directories may have been incorrect in their listings. When Walter Goughnour first converted the service station into part beer parlor in the 1940s, the neighborhood looked much differently than it does today. 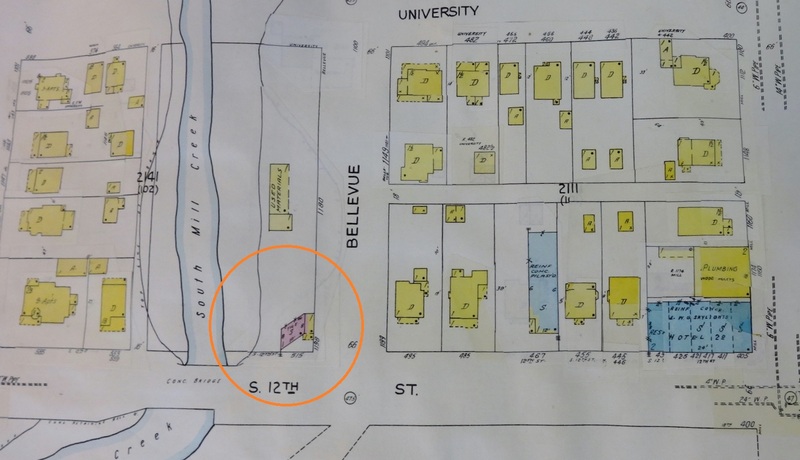 The map below shows the building that housed Walt’s Place (circled in orange). The yellow colored buildings marked “D” all indicate residential housing. These houses are, for the most part, gone replaced by hospital buildings to the south (left) and the Willamette University soccer fields to the north (right). Sanborn Map updated to August 1958. Corner circled in orange is where The RAM stands today. This entry was posted in Uncategorized and tagged 1170 Bellvue Street SE, 12th Street, 515 12th St SE, Beer Parlor, Bellvue Street, Gas Station, Hof Brau, Merle E. Pruett, Pete's Service Station, Publications, Salem, Tavern, The Ram, Virgil E. Zwicker, Walter Goughnour. Bookmark the permalink.